Welcome to the Quick Start Guide for creating banners and onsite assets! In this guide, we’ll go over the basics of using the Creatives Page. We’ll also cover some best practices for using each of these tools to help you decide when, where, and how it’s best to use them. We’re happy to provide you with the latest logos and an assortment of advertisements to use as creatives on your site. Visit this page, and then use the instructions that follow. Find an image on this page that suits your needs. Then follow these steps in order. 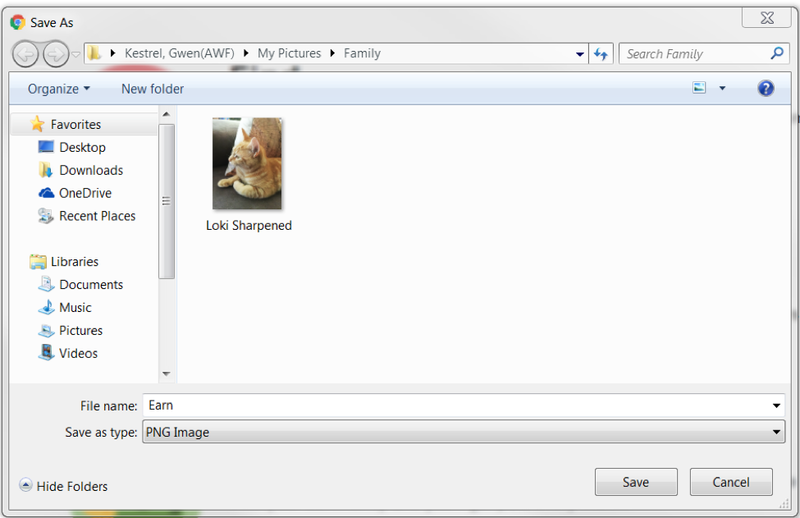 Note where the image will be stored by looking at the top bar in the interaction box. If you don’t like the location, select a new folder on the left. Here, I have chosen to save the image I selected with the title “Earn” and it’s going to be saved as a PNG file in my Family folder under My Pictures. You will need to then put the image on your website. This process varies depending on your platform. WordPress typically has you upload a copy of your image file. SquareSpace has you embed it in your page. If you don’t know how to put an image on your website, please consult your host platform. You will also need to create an EPN link to go with the image. To do so, sign into your EPN account and go to the Link Generator tool. From there, you can customize the link so when your user clicks on the image they are taken to where you’d like on the eBay site (the home page, an item page, search results, etc.). For more information on using Link Generator, see this Quick Start Guide. Using whatever commands your platform requires, have clicking on the image activate your custom affiliate link. On the simplest of platforms, while editing your page click “Control+k” and paste in your link. High quality images and visuals can enhance the written content of your website. Not only do they help break up the monotony of multiple lines of text, but they also help bring legitimacy to your website, creating a more professional look and feel. You can use our creative tools to create eye-catching visuals, which will entice your visitors to click to eBay. The placement of advertising images on your website is important. You’ll want the images to enhance your written content, not overpower it or interrupt it. Too many images, especially advertisements, can turn people away from your website. Ultimately, striking a good balance between using text and image affiliate links will provide multiple ways to drive visitors to eBay and earn commissions. You can analyze how your Creatives perform by using the By Tool/Creative or By Campaign reports in the EPN portal. The By Tool/Creative report will tell you which types of Creatives are performing the best, and the By Campaign report will tell you how each placement on your page is performing (if you choose to use a different Campaign ID for each placement). You can use this data to optimize for what works best on your site.